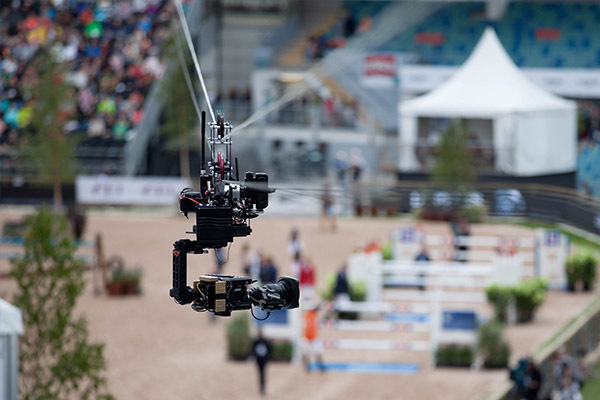 FlyLine is a ‘Point to Point’ cable cam system. It ‘flies’ along a cable stretched between two anchor points. The anchor points can be fixed points like trees or other permanent structures or they can be movable anchors like a forklift, scissor lift, scaffold or similar. 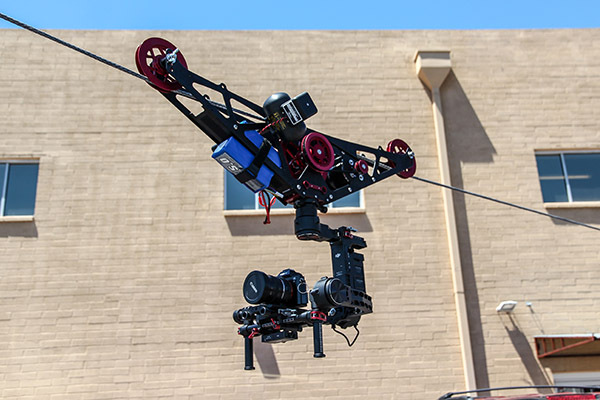 FlyLine can be equipped with Kenyon gyros to stabilize the system from swaying and unwanted movements. 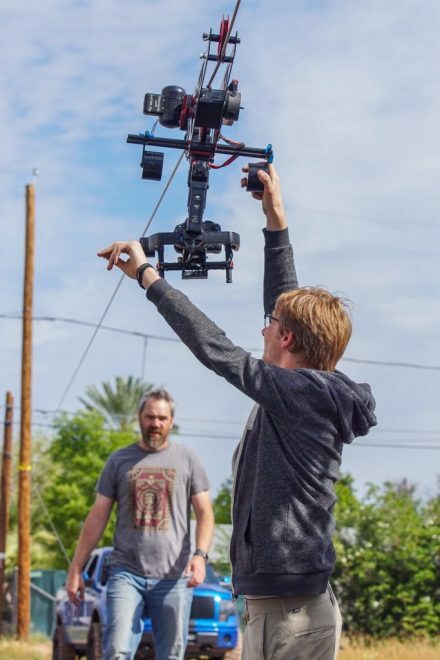 When coupled with stabilized camera gimbals the result is an extremely stable camera platform for liquid smooth shots. 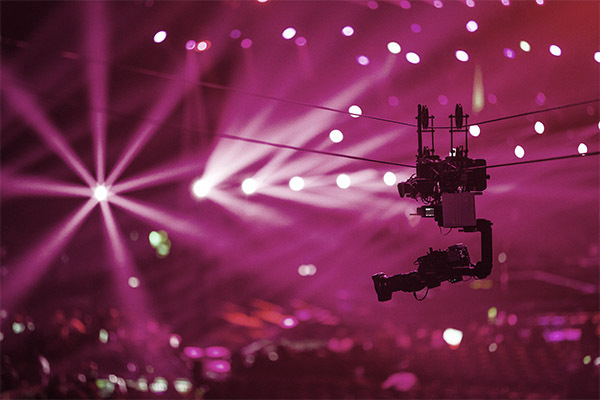 Noisy production gear in a sound sensitive environment is annoying. 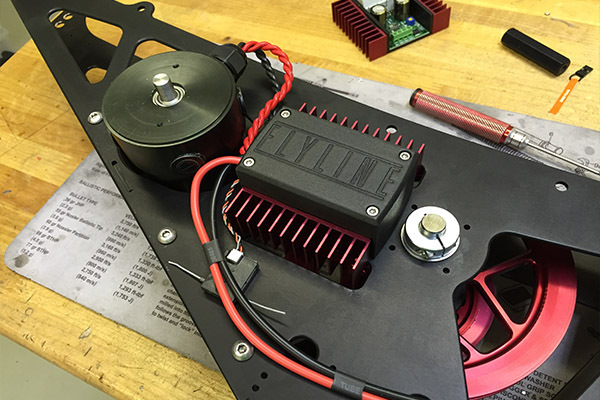 FlyLine employs an ultrasonic motor driver and a specially designed multi-brush motor which are nearly silent. FlyLine has a quite stealthy noise signature. 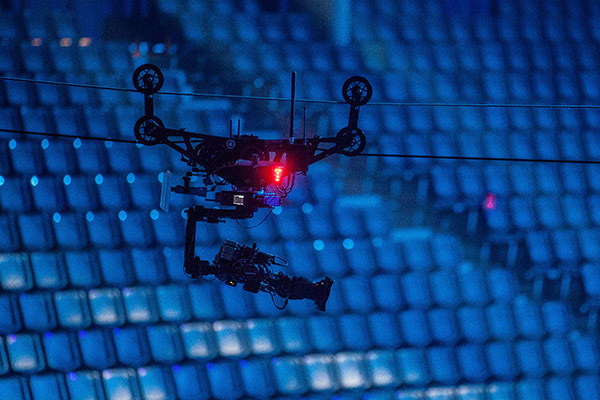 FlyLine can be equipped with an automatic end stop motion control system we call the MoCo. 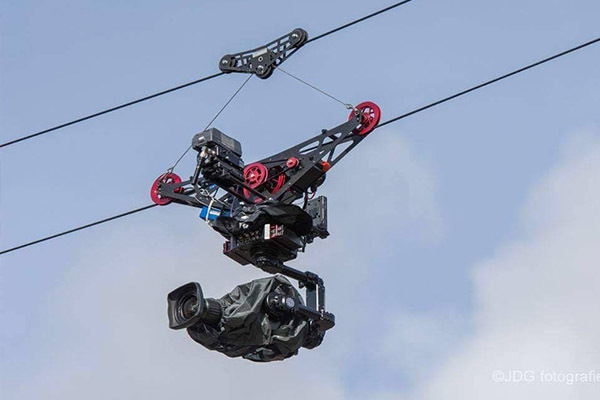 MoCo let’s you operate the FlyLine without risk or worry of crashing into the end points by automatically bringing the trolley to a smooth stop at user defined end points. The adjustable drive ratio and control system on FlyLine allow for a broad range of speed. 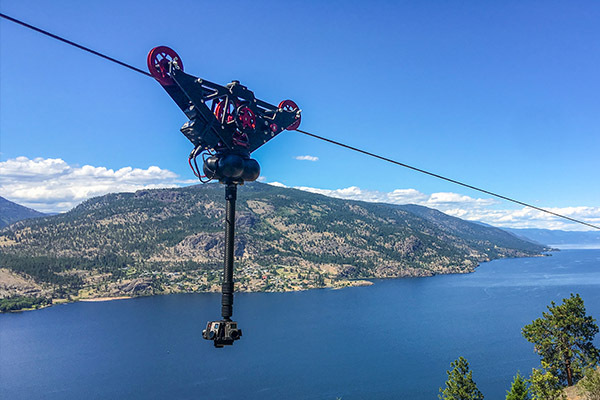 Smooth transitions from 0 mph to as slow as 36″ per minute to 45mph, FlyLine offers a wide spectrum of uses from small indoor venues to fast paced outdoor extreme sports events. 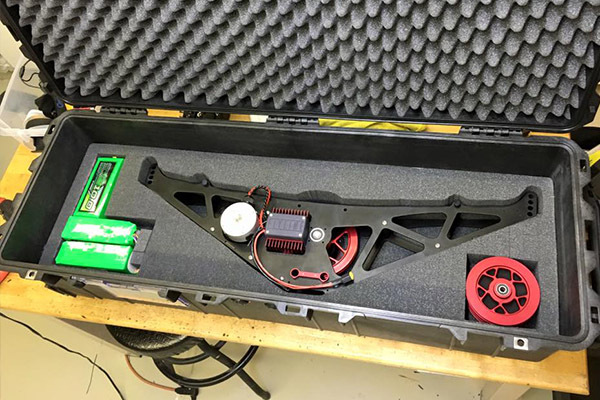 FlyLine is designed and manufactured in the USA from aluminum, carbon fiber, and stainless steel. Tight machining tolerances ensure a rigid & durable structure. Form meets function with the beautiful yet utilitarian lines of FlyLine.